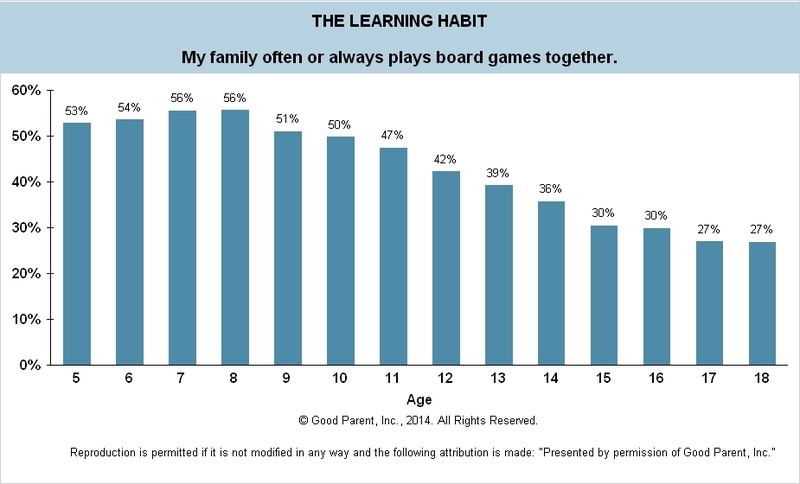 Frequency of Family Activities - Good Parent Inc. 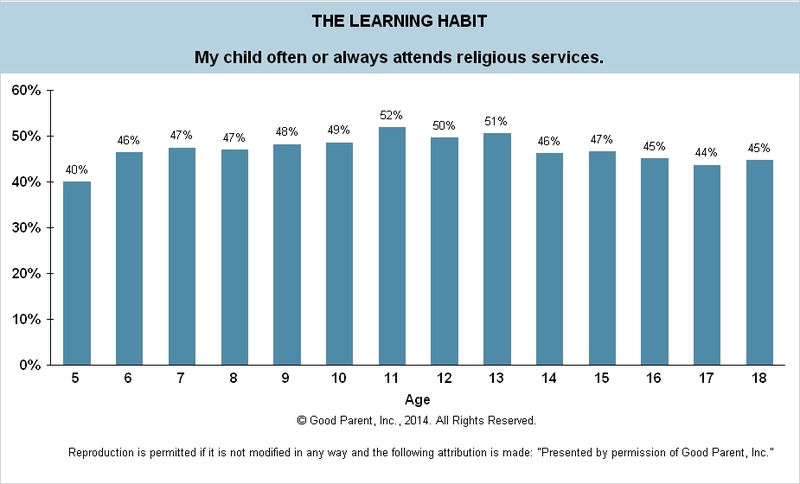 In the Learning Habit Study we examined Family Time, which included family dinners, board games and attending religious services. Perhaps not unexpectedly we saw a decrease in family activities as children got older. Family Time was found to positively impact primary/elementary school aged children in their socialization skills. For all children, regardless of age, Family Time was found to be associated with favorable handling of their emotions and in retaining better focus. 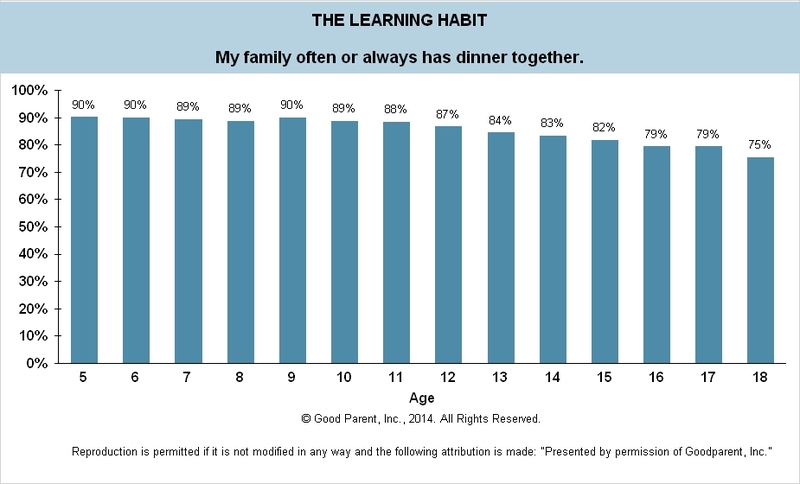 Additionally, parents who indicated increased Family Time had children with higher overall grades. Therefore, even if the number of family activities reduce in frequency as children age, setting good family habits and activities can have positive effects on children.